Irak’ta yerleşik, güçlü bir tüketim ürünleri toptancısı, deterjan çeşitleri konusunda düzenli olarak çalışabileceği Türk tedarikçiler aramaktadır. My name is *****. I am writing from ***** Companies for general distributions. We have experience of more than 20 years of working as distribution company in Iraq. We are now considered to be one of the biggest group companies for distribution of foods& beverage and healthcare products in Iraq. As ***** Companies, we also work in oil industry , constructions , and electronics. 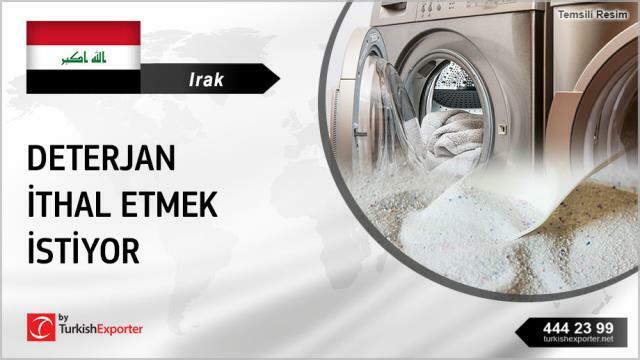 Based on our detailed research about the current market situation in Iraq, we would like to take advantage of any opportunity to franchise a chemical Turkish brand for all Iraq. Therefore, I kindly ask you to let us know if your company has any distributors in Iraq or offer any chances for foreign companies to create their own private label products.